PCT Moderator, Rev. Sih Pek-Chan and General Secretary, Rev. 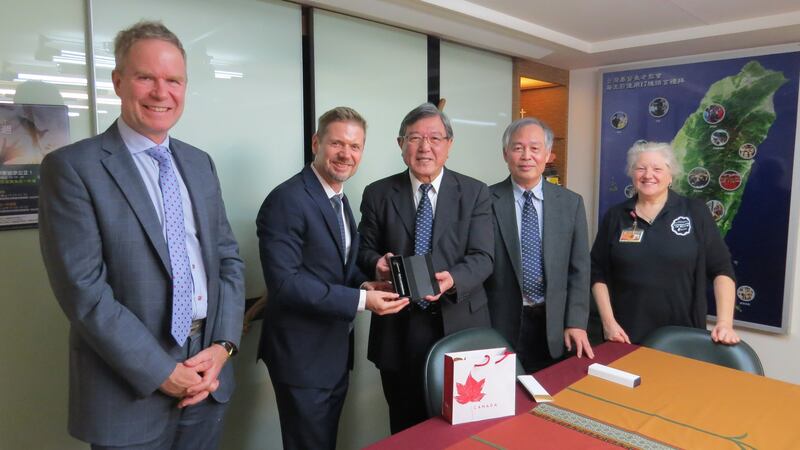 Lyim Hong-Tiong warmly welcomed representatives of the Canadian Trade Office in Taipei, Taiwan, namely Mr. Jordan Reeves, Executive Director and Mr. Michael McCulloch, Director for General Relations to the General Assembly Office afternoon of Thursday, 24 January 2019 for a courtesy visit. 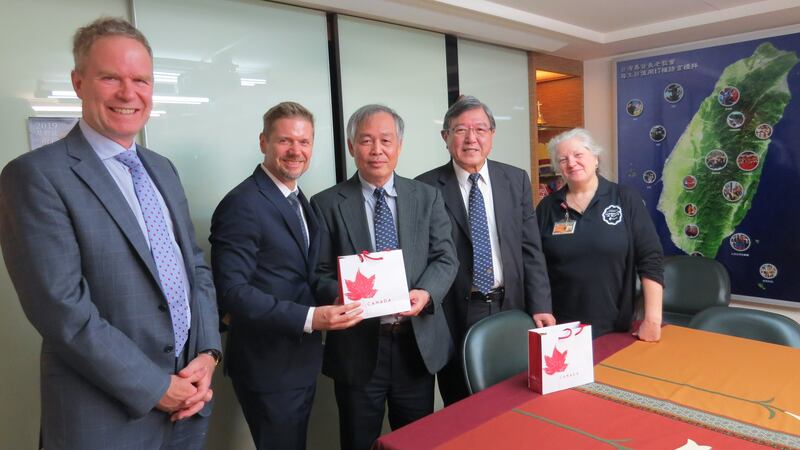 During the friendly dialogue our visitors were pleased to learn about the current life of the PCT as well as gain insights into the valuable common history between Canadian and Taiwanese churches.